All corporate assessee and other assessees who are subject to compulsory audit under section 44AB are compulsorily required to use an electronic transfer to make payment of TDS. TDS is paid by Challan No./ITNS 281. Step 3 – Select the type of deductees. 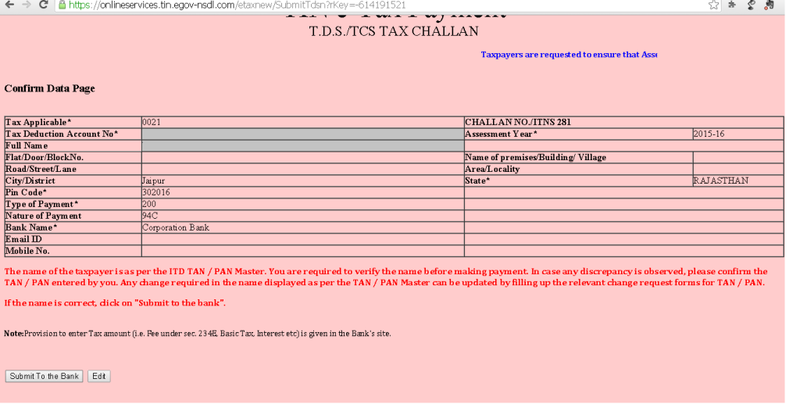 Deductee is the person from whose payment you have deducted TDS. If deductee is a person other than the company, then you should select (0021) Non-Company Deductees otherwise select (0020) Company Deductees for depositing TDS/TCS deducted of the companies. From this, it is clear that we are required to use separate challan for company and non-company deductees. Step 4 – Enter the TAN number and fill the basic details in the form. City, State and pin code is compulsory. Address, email id and mobile are optional. Step 6 – Select the nature of the payment. It should be based on the nature of the payment for which you have deducted TDS and now making payment to the Income Tax Department. Step 7 – Select the bank from which you are going to make the payment. Step 8 – Enter the verification code and click on Proceed. 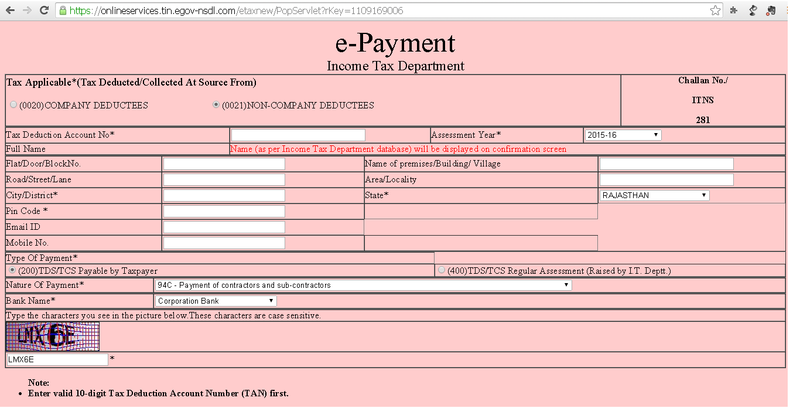 Step 9 – Now you will get a filled form. 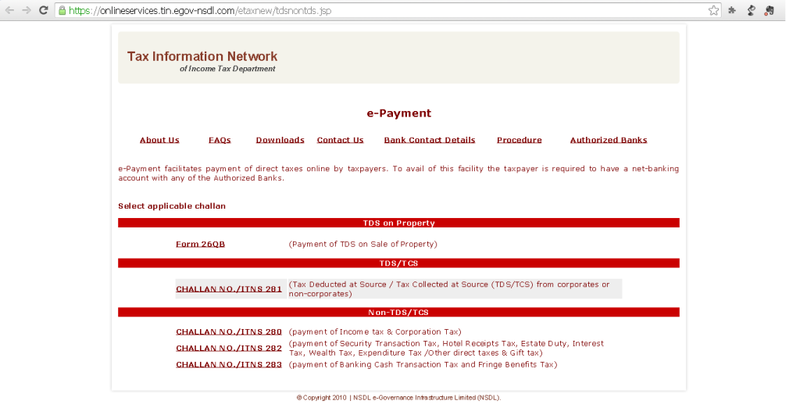 Check the details and make sure the Full Name field showing the same name of the person who is making the payment. Step 10 – Click on submit to bank and then you will proceed on the bank website. The option of entering the amount and other details will be available on the bank website.